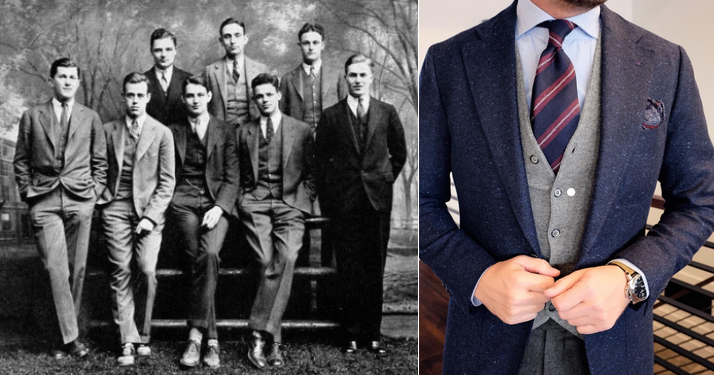 “Ivy Style” (also known as the “Ivy League look”) originated from the early 1950’s of the grounds and libraries of all-male American universities like, Harvard, Yale and most notably Princeton. Traditionally, Ivy Style was considered a classic and a beautifully-tailored look, however, it quickly expanded beyond campus walls becoming a lifestyle choice for a diverse population of young men. From young working-class men to middle-class jazz musicians, the Ivy League look, which consists of penny loafers (often with socks), smooth chinos, accompanied by a full clean and tailored suit, was the latest menswear revolution. Ivy Style is perceived and recognised as sophisticated and elegant.  It can be worn by men of any age since it centres two simple style concepts – representing yourself and the world’s leading and most exclusive universities. Through one’s attire, social status is projected. Nearly seventy years later, Ivy Style can still be seen on the runway of fashion shows around the world. Fur, one of the world’s most natural and sustainable materials, can be traced back to the origins of Ivy Style. Most renowned of all looks is a full-length racoon fur coat often sported by American Ivy League-ers and young college students, who originated the trend almost one century ago in the 1920’s and 30’s. If university undergraduates and alumni wanted to keep their ‘masculine’ reputation during the 20’s and 30’s – they would, without a doubt, be seen at public outings, like sport events, in a full-length racoon fur coat. 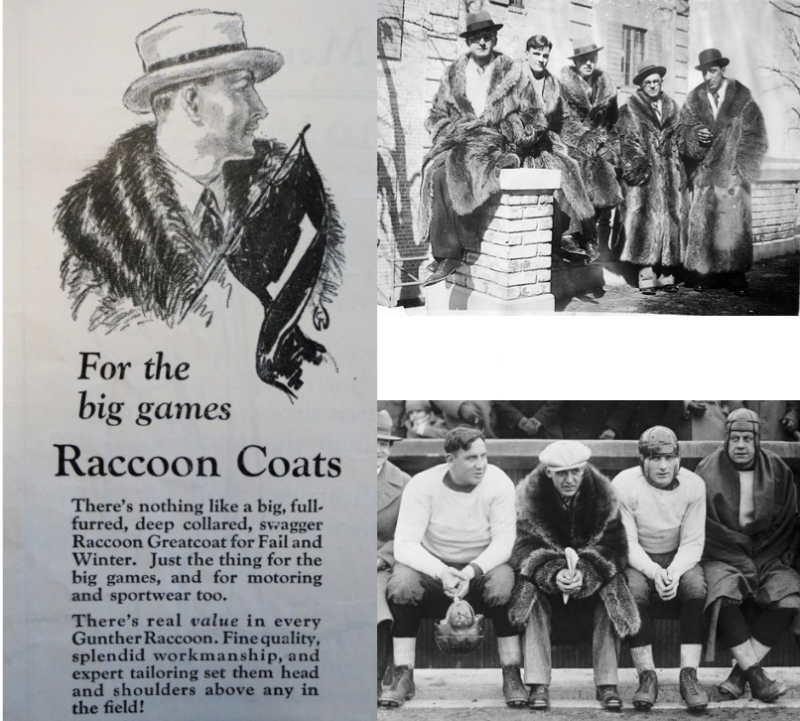 The 1920’s and 30’s was a period of football haute couture, whereby having a racoon fur coat signified an ostentatious and carefree attitude compared to previous generations. This ignited an avid need for the garment across the country and soon every man who could afford one, had one. Quickly, full length racoon fur coats were something that indicated social status, whether you were an investor, salesman, or a student, fur was forever. In this day and age, natural fur has evolved into so much more than just the popular racoon full-length coat. Ivy Style set the ball rolling for what has taken fur fashion by storm and by still representing the same ‘elite’ status, fur garments have continued to expand into many different styles, lengths and colours. Maintaining its level of luxury, the evolution of fur pieces mean they carry the same value today as the Ivy Style fur racoon coat did back then. For instance, types of fur have expanded to beaver, mink, sable, red fox and many more. But it doesn’t stop there. Over decades the use of fur has also evolved, ranging from fur trim on leather jackets, to cropped and dyed fur coats, to just below the hip and waist-length fur coats, and of course, full-length fur coats. No matter the style, length or colour, today the possibilities of wearing fur are endless (and fabulous!). It verifies that fur continues to grow in the world of fashion, and that racoon knee-length coats were only just the beginning of what is an already surpassing fashion phenomenon. Ivy Style has given the platform for the world’s most exclusive designers to mimic and mirror. 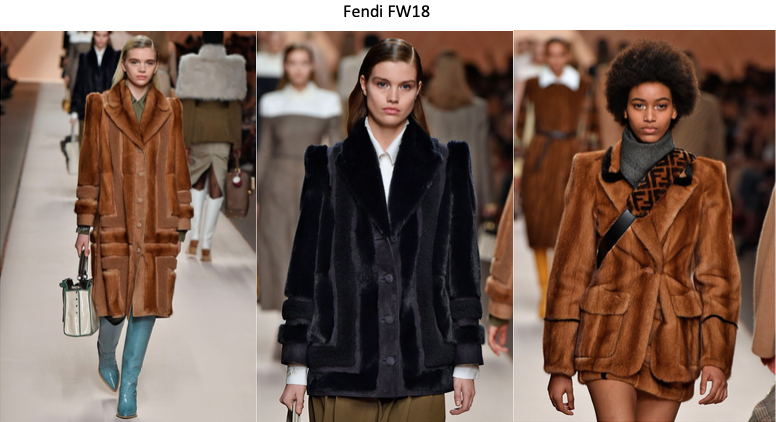 Fendi, Saint Laurent and Alexander Wang’s FW18 collection, for example, all include looks that have become a modernised, and stylish way of the Ivy Style, with the phenomenon of the blazers/suit being the most notable attraction. Natural fur alongside many other materials have come into play when illustrating the renowned look, signifying that the concept of the Ivy Style is still in place, although within different generations and style eras, designers are able to play with the idea and create a modern and fresh appeal to it. Suit attire is one of the most popular looks in the fashion industry today, all taking inspiration from the Ivy League Style, which designers have now re-imagined. Originally being a look associated with masculinity, designers today have revolutionised that, as women’s collections have altered, and the Ivy Style has become an icon to what women wear, appreciate, and execute in modern day. It has transformed with modern time to become a popular unisex style. Many style statements come and go, however; Ivy Style has been rooted within western culture throughout successive generations. It remains one of the most understated and luxurious looks in history. Ivy Style has endured half a century of style evolution entering the 21stcentury where it continues, to this day, to inform the progression of both menswear and womenswear.